Brainwashed - DAVID KEENAN, "ENGLAND'S HIDDEN REVERSE"
Although they are perhaps the most consistently innovative group of artists for the past two decades of underground music, the English post-industrial bands that evolved from the cultural monolith of Throbbing Gristle have long remained under the radar of the music press. Many of these "esoteric" artists thrived throughout the 1980s and have persisted until today, but most have been ignored by critics and writers, surviving only because of a loyal cult following bordering on the zealous. Only recently have established publications such as The Wire begun to validate these artists by documenting their activities and placing their music into the larger context of modern avant-garde experimentalism. Anyone who has followed these unique musicians knows that this attention is long overdue. David Keenan, a frequent contributor to The Wire and Mojo, has authored England's Hidden Reverse. Subtitled "A Secret History of the Esoteric Underground," Keenan has chosen to focus on the scene's three most enduring artists—Current 93, Nurse With Wound and Coil. The story of these three is told in chronological order, with Keenan attempting to give equal coverage to each. The prevailing thesis of his book is that David Tibet, Steven Stapleton, John Balance, and Sleazy Christopherson are not idiosyncratic madmen that fell from the sky, but are rather quite naturally following in the footsteps of a long line of English eccentrics and outsiders. To support this contention, Keenan takes the reader for many tangential side-trips, telling the stories of great and obscure figures such as Louis Wain, Aleister Crowley, Austin Osman Spare, William Lawes, Eric Count Stenbock and a host of others. 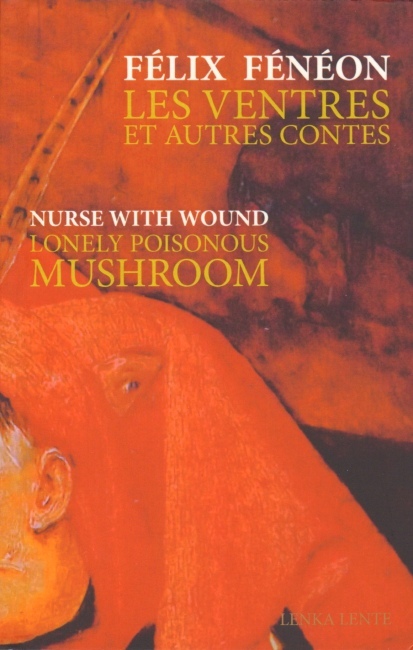 It provides interesting background information, quite valuable for a deeper understanding of many of the lyrical themes of Current 93, the occult influences on Coil and the surrealist aesthetic of Nurse With Wound. For fans of these artists who have already digested the numerous interviews, fanzines and website material that has been available for years, this book offers a treasure trove of completely new revelations. Some of the startling anecdotes revealed in the book are truly unbelievable, such as the first meeting between David Tibet and Jhon Balance (which I won't reveal, except to say that it involves someone getting urinated on). Keenan does an admirable job of placing these musicians into the context of the post-industrial scene, giving a liberal amount of time to trace their connection to concurrent acts like Whitehouse, Psychic TV, 23 Skidoo and Sol Invictus. Keenan has interviewed a staggering number of the people who were there—the musicians, the scenesters and the witnesses—and the substantial amount of direct quotes lends credibility to the project. The book is copiously illustrated with hundreds of previously unpublished photographs. Although it is unmistakably a thorough study, there are a few nagging problems with England's Hidden Reverse. Among these is the disproportionate amount of time spent on the formative period of the timeline, to the detriment of the last decade of activity, which is the most fertile creative period for these artists. Latter-day masterpieces like Current 93's All The Pretty Little Horses and Coil's Musick to Play in the Dark are given only a few paragraphs each, which is unequal to their significance. Perhaps the most flagrant problem with this book is the near-total absence of any material regarding one of the best and brightest of the esoteric scene: Douglas Pearce. Death in June most certainly exerted a hefty influence on the development of Current 93's brand of "apocalyptic folk." Before David Tibet met Douglas P., his music was all tape loops and dense noisescapes. After their partnership, Current 93 adopted Death in June's approach, appropriating the sounds and aesthetics of 1960s psychedelic folk. Despite all this, and the fact that David Tibet and John Balance have frequently collaborated with Death in June over the years, Douglas P. was not interviewed for the book and his influence and importance in the scene is played down. Certainly Death in June's But, What Ends When the Symbols Shatter? and Rose Clouds of Holocaust are as epoch-defining as Current 93's Thunder Perfect Mind, Nurse With Wound's Soliloquy for Lilith and Coil's Love Secret Domain. Despite these glaring omissions, David Keenan's book is certainly an entertaining and essential document. Even those who are not already ardent fans will find much to like about Keenan's engaging prose and analysis. Also included with each hardcover edition is a CD collecting some of the most representative tracks from the three groups. All things considered, England's Hidden Reverse exceeds expectations as a captivating history of the most unique grouping of experimental musicians working today.